I was recently on the hunt for light, fun audio books to listen to as a reward for finishing the month-long marathon that was A Brief History of Seven Killings. As much as I enjoyed listening to the Booker Prize-winning novel about the attempted assassination of Bob Marley, it required a lot of focus and energy. I was ready to kick back with some authors that wouldn't ask quite so much of me. All three of the following funny ladies entertained the hell out of me. Any of these books would be great to listen to if you have to travel for the holidays this year—these gals could make even time spent on a plastic chair in an airport fly by. Mindy Kaling wrote some of my favorite episodes of The Office. She has a gift for creating goofy situations with a sweet romantic side. So it's no surprise that the funniest parts of Why Not Me? happen when she taps into her imagination. In one chapter, she makes a list of possible premises for TV show pilots that actually caused me to laugh out loud. In another, she imagines an alternate life for herself in which, instead of becoming famous, she takes a job as a Latin teacher at a private high school in Manhattan and ends up falling for another teacher, an outwardly stodgy widower fifteen years her senior. The story, told entirely through emails and text messages, has a breezy, thrown-together quality, but by the end, I was totally, 100% bought-in. It seemed vitally important that Fake Mindy and her love interest end up together. I could imagine Kaling saying, “Oh, you like that? I've got a million of 'em.” She could obviously churn out romantic comedies in her sleep. It's a little unfortunate, then, that the majority of the book is about her life, as was the case with her first book, Is Everyone Hanging Out Without Me? It's not that her life isn't interesting, per se, it's just that it can't compete with the stuff she can dream up if she doesn't have to stick to the facts. 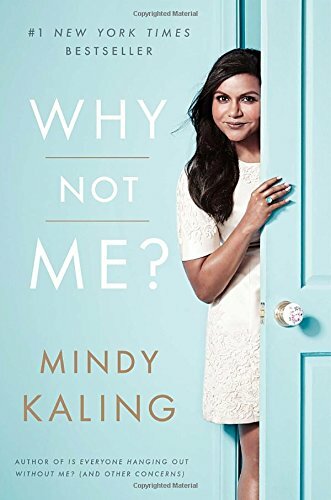 Still, it's a good enough book if you're a fan of Kaling's TV shows, and hearing it read in her bright, chirpy voice is a treat. 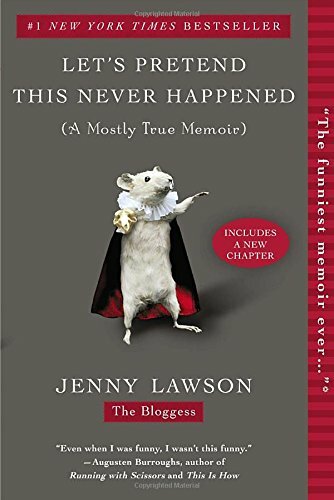 Jenny Lawson is a total weirdo, and she’d be the first to tell you so. In fact, that’s the only factor that detracted from my enjoyment of her fractured life history—the way she constantly points out her own weirdness. She’ll present a hilarious anecdote, like the time her dad (a professional taxidermist) used a dead squirrel as a puppet, or the time she literally fell into a deer carcass, but instead of letting the story stand, she follows it up with some comment about how unusual or crazy the situation was. This is a pet peeve of mine: people (or, in this case, writers) who insist on pointing out their own quirkiness. I think they do it believing it comes across as humble and unassuming, as if being weird is a bad thing, but you can tell they really think it’s a badge of honor. So every time Lawson told me she was crazy, or weird, or insane, I just rolled my eyes and went, suuuure, honey, no one in the world is as weird as you. You’re the first person ever to do or think or say that thing. And all the rest of us are boring old Muggles. If you took out all the annoying asides, you’d have a really funny and endearing book about an imperfect but fun lady and her skewed childhood in rural Texas. Lawson reads the audio version herself, singing all the chapter titles and periodically calling for more cowbell. There are sound effects, which don’t add anything substantive but were mostly cute, and outtakes at the end, which are actually more like long, rambling monologues directed at her production team. It’s an enjoyable listen, because Lawson really is a unique person with a zany outlook on life. I just wish she’d trusted me to figure that out on my own. 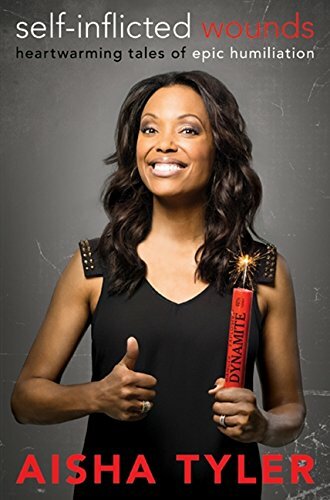 Aisha Tyler is SMART. I don’t know why this surprised me—or wait, maybe I do. Before listening to her book, the only thing I knew her from was “The Fifth Wheel,” a trashy reality dating show she hosted in the early 2000s, when I was in high school and had nothing better to do than watch fake-tanned idiots socially and sometimes physically abuse each other on television. Shockingly, her turn as host of such an illustrious program amounts to only a tiny footnote in her career, as I had to search high and low before finally finding a mention of it on Wikipedia, which was a relief because I was starting to wonder if I’d dreamed the whole thing, even though to this day I can hear her lilting “I’m Aisha Tyler” in my head, which I remember specifically, because at the time I thought her name was Myesha Tyler and got all confused later on when I finally saw her name in print. Fortunately, Tyler is capable of a lot more than sarcastic jibes at catty coeds. She has an enormous vocabulary—huge, massive, vast, expansive, colossal—and uses it to great effect in her book, Self-Inflicted Wounds. It’s not really a memoir, because she doesn’t tell her life story or even focus on a particular time in her past. Instead, it’s all her most embarrassing stories, neatly collected in one place. Drunken mistakes, social faux pas (what is the plural of faux pas? I bet Tyler would know), career missteps. Who wouldn’t want to write a book like that? Tyler’s self-deprecating wit made me chuckle aloud a few times—not an easy feat for any book, especially one so clear about its intention to be funny. And audio is definitely the best format, because there’s nothing like hearing the jokes delivered by the stand-up comedienne who wrote them. Her impression of her dad knocked me flat. Also her description of riding on the back of his motorcycle as a kid with a book propped on his “capacious lats.” Aisha Tyler is definitely the kind of nerd I can relate to. TagsTheme Reading, And Hilarity Ensues, In the Mood for a Titter?